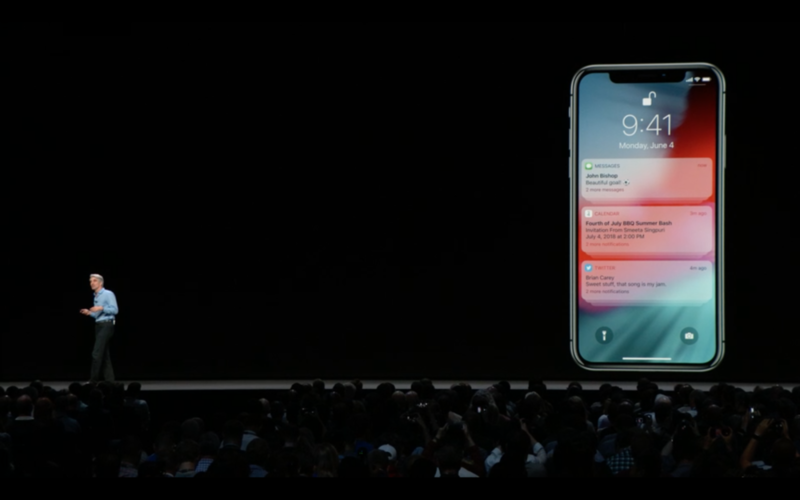 "Next I want to talk about notifications. 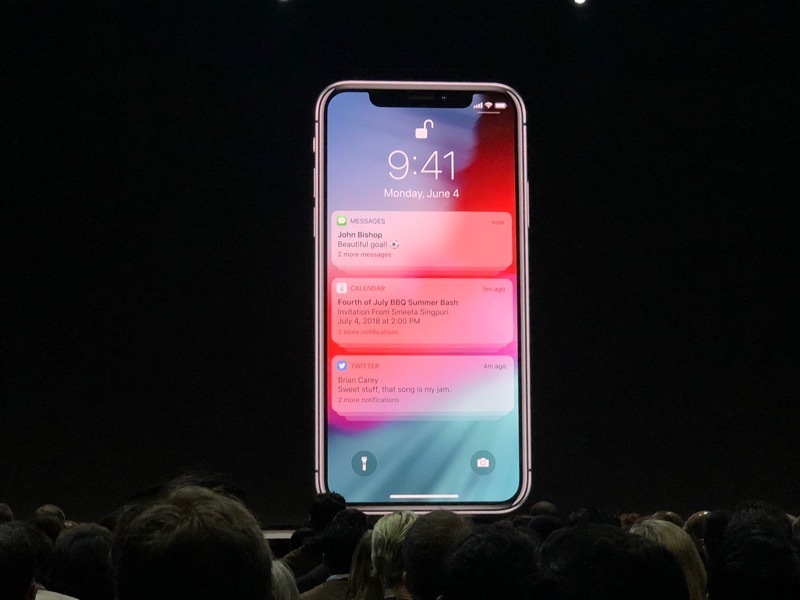 Notifications help keep us informed and connected to important things throughout the day. We want to give you more control over how many notifications you receive." Instant tuning - from main screen, can mute notifications, choose which ones you see, etc. "In addition to these great features to help you limit distractions, we wanted to go further. It's with a feature we call Screen Time." "It starts with Reports that give you a weekly summary how you used your iPad or iPhone." 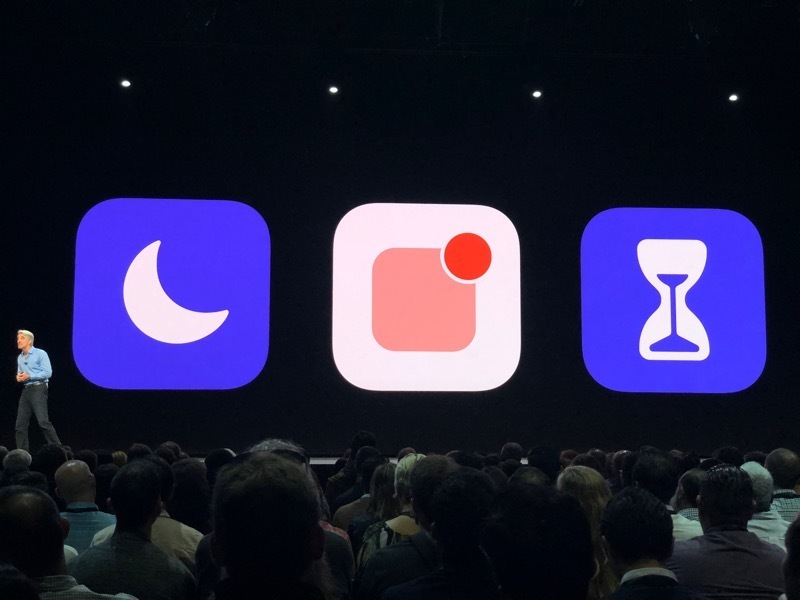 ... Can see how much time you're spending, where you're spending it, where use breaks down during the day, how much time spending in apps, how often per hour you're picking up your phone and what's drawing you in, and what apps are sending you the most notifications. App Limits - "if you see an app you'd like to be spending a little less time, you can set your own limit. During the day when you're using the app, you can receive a helpful notification, letting you know time is almost up." For kids - "we know this is something that can help families achieve the right balance for them." "As a parent, you get [report about kids] on your device. And you have the option of creating allowances." "Can limit access to only movies, apps and websites you deem age appropriate. Works on iPhone and iPad." At long last, can organize/manage screen time by category/app within iOS for kids. And limit access content/privacy. It's built off Family Sharing. There's the family iOS tools that were sorely needed. 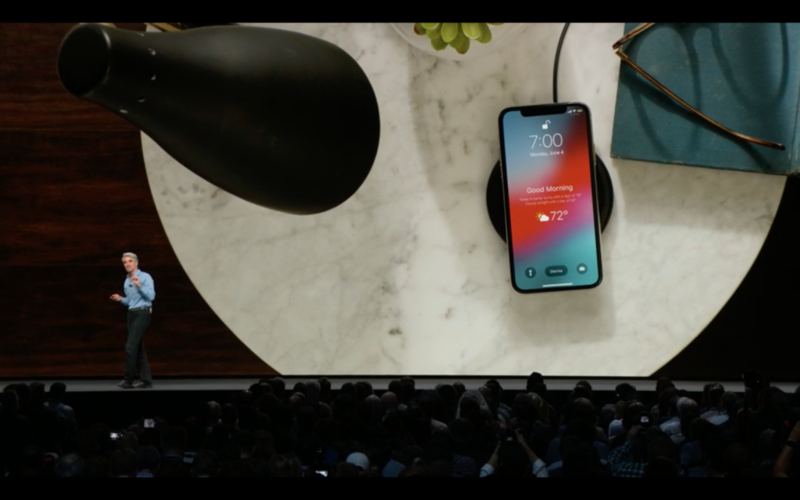 "Next I'd like to talk about one of the most important uses of our devices. Communication." Interesting that he talked about ScreenTime limits without once mentioning the word "addiction." 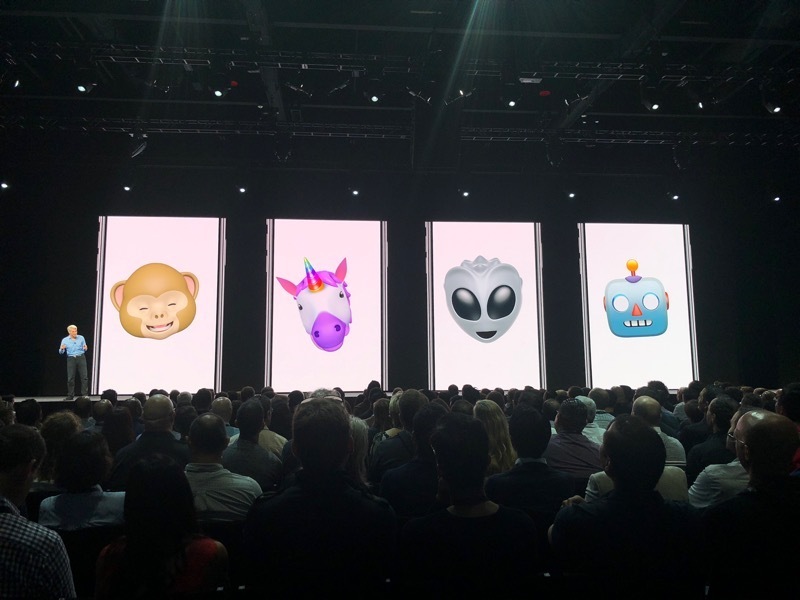 "We wanted to take Animoji even further by making them even more personal. 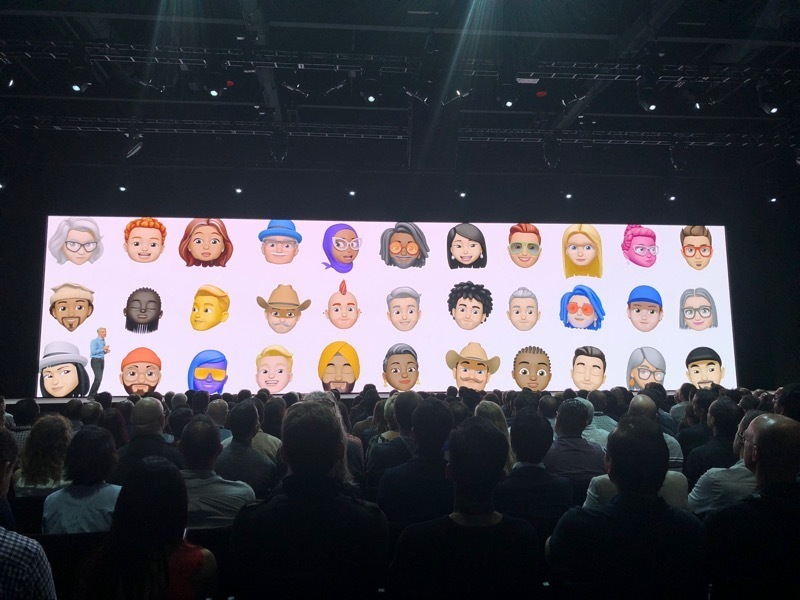 ... New Memoji." Oh my god. 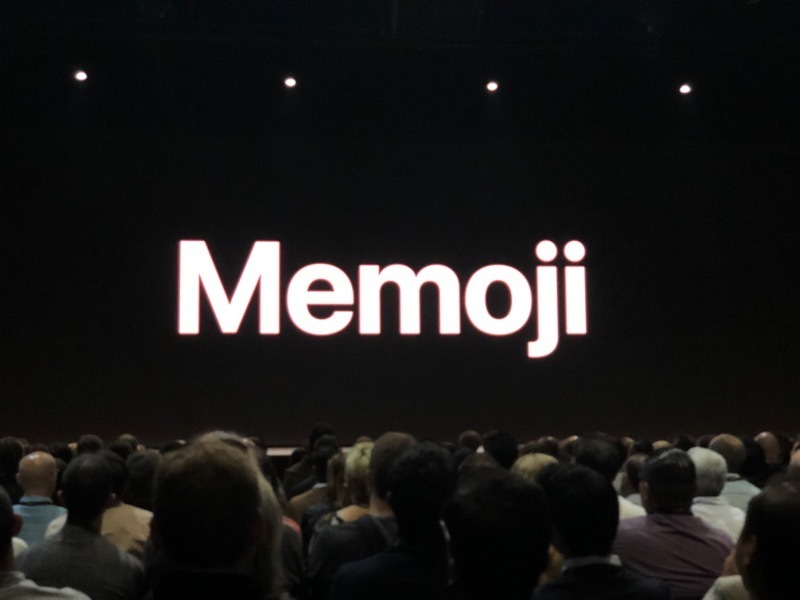 Memoji. Apple just went Nintendo. 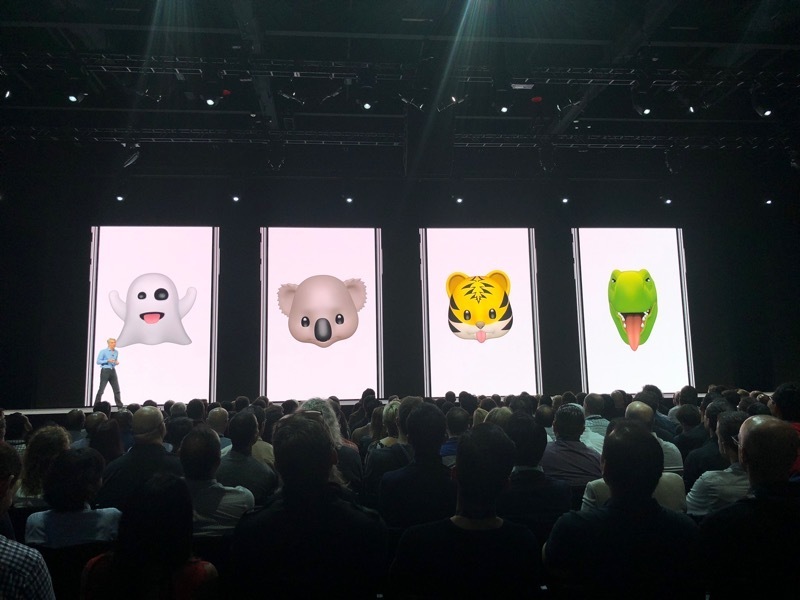 "With Memoji, you can create your very own personalized Animoji"
Samsung's version of Memoji are called AR Emoji. They partnered with a company to make them. You can read about that here. 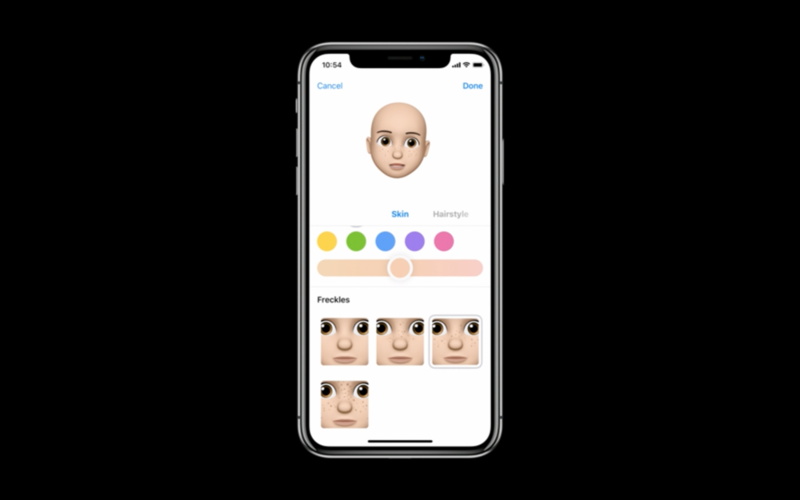 As CNET mobile reviewer Jessica Dolcourt put it, "In reality, AR Emoji's creepy human avatars look very little like the real people they try to represent." 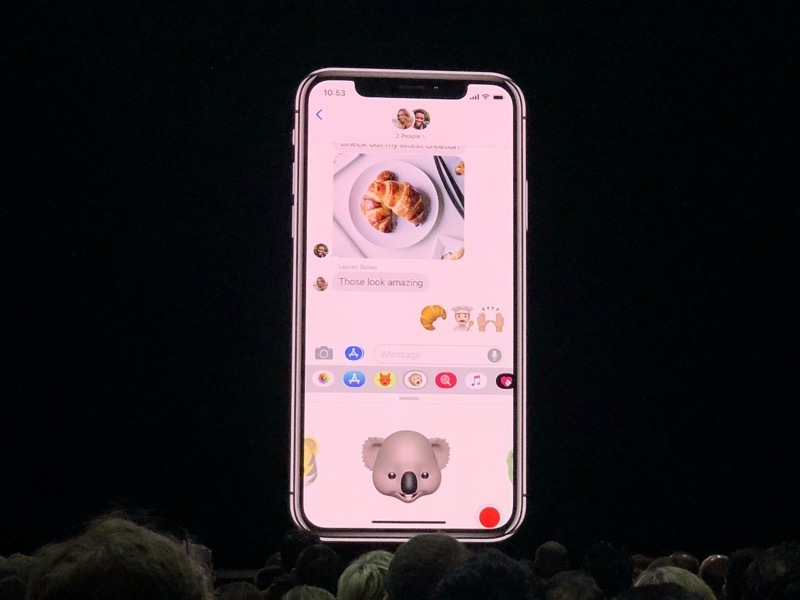 We'll see if Apple's version look any more real.